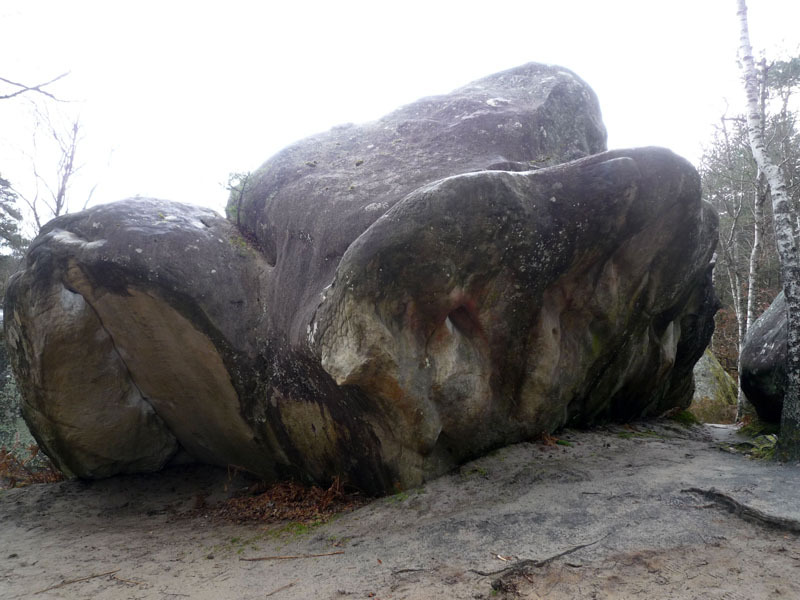 At the open spot of Hiéroglyphes, to the right of Concept, on the backside of the boulder of Merry Christmas. Sitstart to the right with a jug, traverse with top holds of the round arete and exit at the same point as for the Orphéon, 1m50 before Concept. 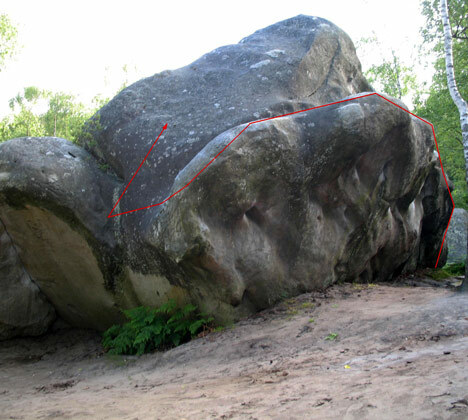 NB : it is also possible to start 2m to the right at a vertical crack (7b/7b+).